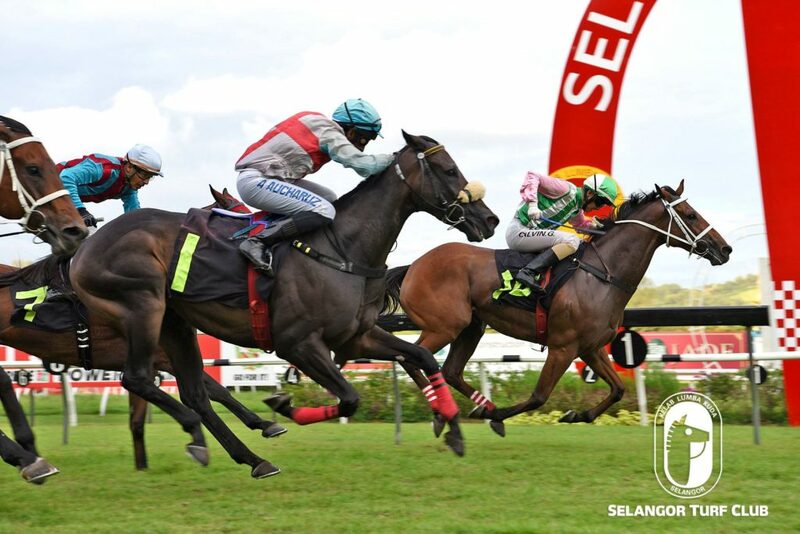 Trainer SY Lim’s Thai Baht (inner horse) look set to re-enter the winning list in Race 9 on Saturday at Selangor Turf Club. On the track today (Wednesday), with jockey M Ganeesh astride, the five-year-old by Famous Roman trotted two rounds on the inner sand track and then was given a good blow-out the last 400m on the main sand track, looking very fit. Last outing, Thai Baht did not run to expectations when finished a dismal sixth to Perfect Run early last month. Jockey M Ganeesh takes the ride on Thai Baht and deserve another chance to win. RACE 2: Frances (App. L De Souza) cantered a lap and then strode out fluently over the last 600m in 38.2 seconds. 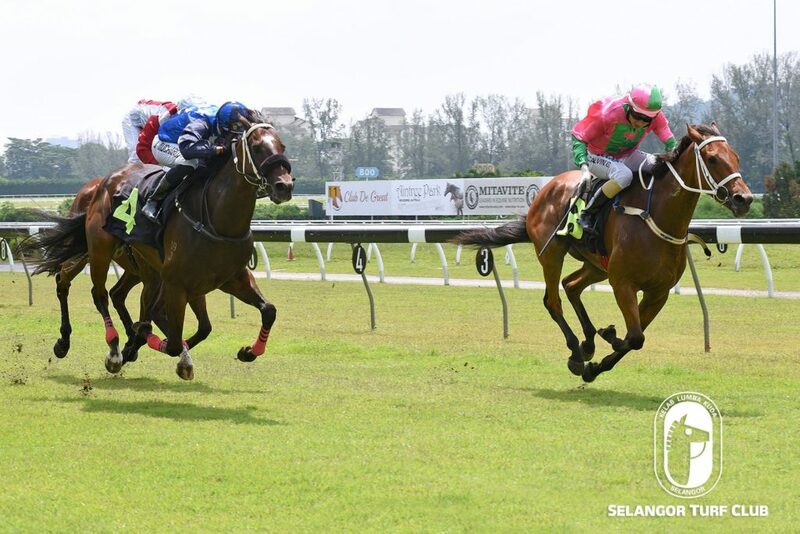 RACE 10: Musang King (M Ganeesh) reeled off in a good turn of speed in 36.8 seconds over the last 600m. Trainer SY Lim’s Immortality (inner horse) is back in form and bears watching in Race 12 on Sunday. With a track rider on the board, the season campaigner eight-year-old by Mettre En Jeu trotted two rounds and then was restrained to do pace work on a tight rein. Last outing, Immortality was never in the hunt when finished eight to Sir Henry in a Class 5 (A) event over 1200m last month. Judging from the preparations, Immortality with jockey M. Ganeesh nominated to ride, should reckon with a chance to win this time out. RACE 1: Eastern Towkay trotted a round and then pace worked strongly on a tight rein. RACE 9: The Jeuneyman also trotted a lap and a canter then sprinted smartly over 600m in 36.6 seconds. RACE 11: Ebtihaal trotted first and then galloped keenly in 36.5. The going good: All workouts were done on the sand track.